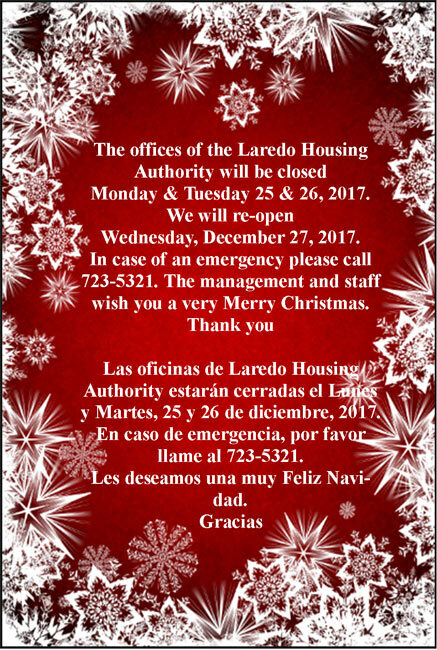 The offices of the Laredo Housing Authority will be closed Monday & Tuesday December 25 & 26, 2017. We will re-open Wednesday, December 27, 2017. In case of an emergency, please call 723-5321. The management and staff with you a very Merry Christmas. Thank you!